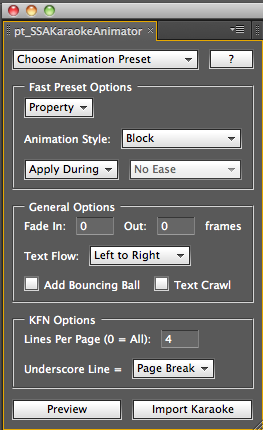 You can choose from two animation systems, a new faster system for creating basic animation styles such as wipes, fades and color changes, or use AE's built-in animation presets system to create more complex custom animations. 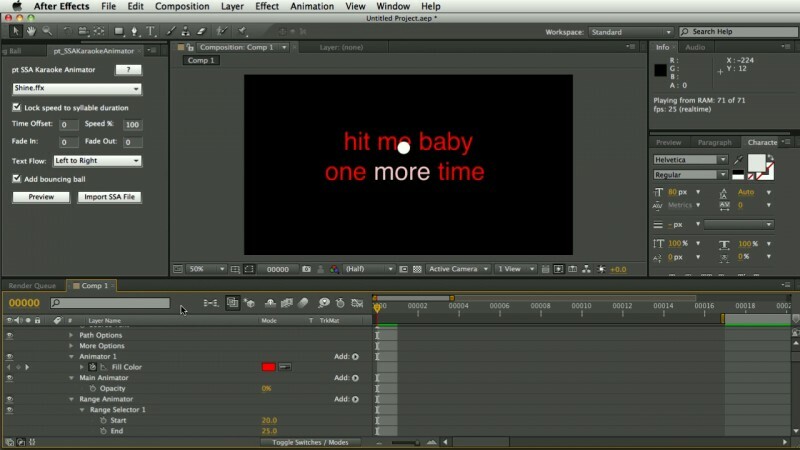 Use the Preview option to quickly try out different presets and settings before importing your karaoke subtitles file. 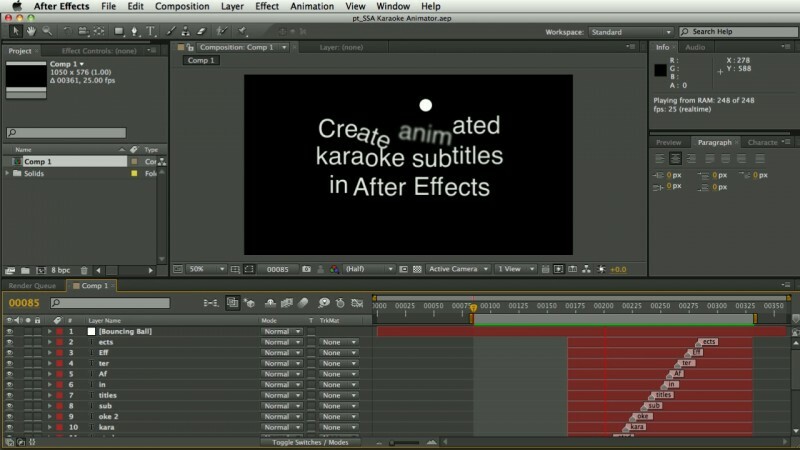 There are also options for adding a bouncing ball, or converting the subtitles into a text crawl. Now imports Karafun Studio (.kfn) files. New basic presets which import and render much faster. Highlight, timing and non-english language bug fixes.